Published on Friday, the 36-second video titled "How to take an ECG" quickly explains how to start the electrocardiogram process, started off by opening the ECG app itself. As the video explains, users have to hold their finger on the digital crown on the side of the device until the 30-second timer expires. After the test has completed, users can scroll through the results to see more information, including next steps a user can take. This includes an "Add Symptoms" button if the user feels unwell and believes it is worth adding alongside the ECG's results for future reference by medical professionals. The new tutorial video is in a similar style to those published in December, with quick clips giving a basic overview on how to use Walkie-Talkie, to remotely locate a paired iPhone, customize watch faces, and other topics. 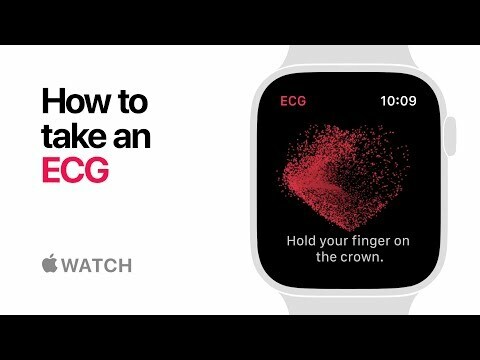 Apple started to roll out the ECG function to Apple Watch Series 4 users as part of the watchOS 5.1.2 update. The feature is limited only to the United States, due to the need to receive regulatory approval in other territories before being enabled. Shortly after being made available, the ECG function, which is capable of detecting an irregular heartbeat known as atrial fibrillation, has already helped save lives. 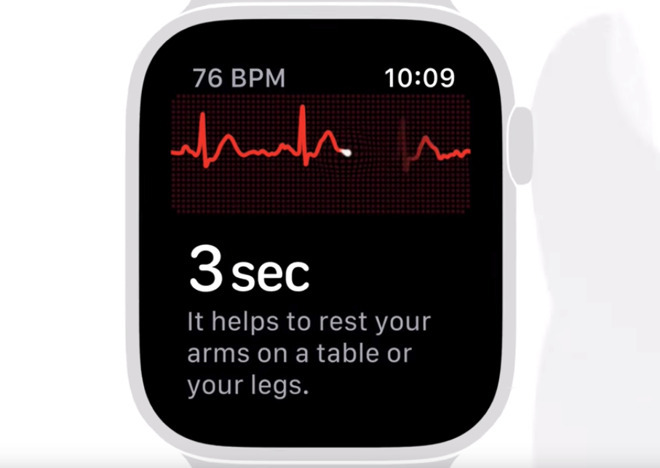 Reports surfaced where users visited physicians and hospital emergency rooms for a full-scale electrocardiogram following a warning from their Apple Watch, which in some cases led to further medical procedures. Why can't this be available to everyone around the world as a fun "game", with a notice that it's not a medical device? Becuase Apple might send the lawyers to talk to the local regulators “one day” to get it approved in those countries. When Apple gets around to it. Because, depending on the local laws, calling a medical device a “game” just to get around the rules could get them in various types of trouble. The US medical device certification would be “exhibit A” in the civil or criminal trial in another country where someone misused or misinterpreted the results from an ECG “game” and had some subsequent problem. This would be totally not worth it from Apple’s standpoint. The US is their biggest market, so certification happens first there, then they can start navigating the processes in other countries. One could imagine they’ll try to avoid customizing hardware or software for different markets, so if another country won’t accept the approved US design without modifications, then it just won’t get turned on in that country. It’s not Apple causing the delay, it’ll be the Governments of other countries.